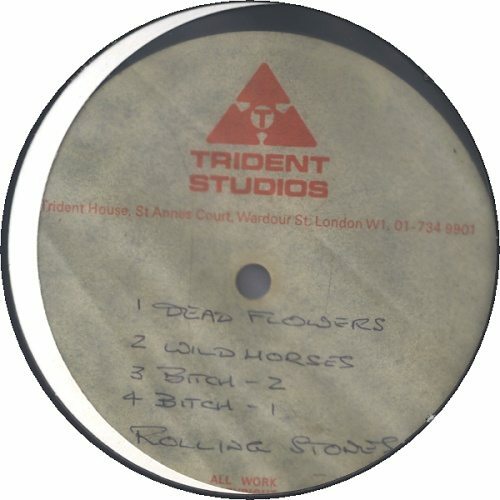 HomeRare & Vintage Vinyl & CDsROLLING STONES Sticky Fingers Pre-Production Acetate! Just landed at Eil Towers is this incredible pre-production acetate of the Stones legendary Sticky Fingers LP, what a find! Containing markedly different mixes and, in some cases, different takes to those eventually released on the ‘Sticky Fingers’ album itself – it’s a piece of music history no less…. Needless to say it’s an amazing item and one that we are proud to be able to offer for sale – for anyone looking for an investment opportunity, look no further!